The United States government understandably wants its citizens and residents to pay taxes on the money they earn, especially when those funds are significant. To this end, the U.S. government has cast a wide net designed to identify and penalize tax abuse by U.S. citizens. Like many wide nets, however, this one can catch more than it was intended to, sometimes with disastrous results for taxpayers who are new U.S. residents. While this is a particular danger for new residents who are unaware of the relevant laws, any U.S. person who has a foreign account or asset that is not in compliance with these laws is at risk of being penalized. What Triggers FBAR and FATCA Reporting Requirements? United States persons, including citizens and all residents, must file a Report of Foreign Bank and Financial Accounts (FBAR) through the Financial Crimes Enforcement Network (FinCEN) if they have “a financial interest in, or signature authority, over at least one financial account located outside of the United States; and the aggregate value of all foreign financial accounts exceeded $10,000 at any time during the calendar year reported.” In addition, any person who meets the “substantial presence” test identified in Internal Revenue Code Section 7701(b) is considered a United States person for purposes of FBAR filing. The taxpayer keeps a foreign bank or investment account after moving to the U.S. Once the balance is over $10,000 USD at any point during the year, an FBAR must be filed even if the funds in the account were earned prior to becoming a U.S. resident. The taxpayer receives a gift or inheritance from a relative or friend in a foreign country, and the funds are deposited into the taxpayer’s foreign bank account, or into a foreign account where the taxpayer is a joint account holder. The taxpayer transfers funds to a foreign account in his or her home country to support family members or purchase real estate. The taxpayer’s parent residing in a foreign country makes the taxpayer a joint holder of a bank account for care or estate planning purposes. The taxpayer participated in a government sponsored retirement account and the account has not been reported to the IRS. 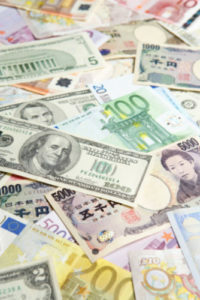 To complicate matters, certain individuals with over $50,000 in foreign assets, including U.S. citizens, resident aliens, and some non-resident aliens, may be required to file IRS form 8938 (Statement of Specified Foreign Financial Assets) along with their U.S. federal income tax return. Qualifying individuals must file this form in addition to filing an FBAR. This is a requirement of FATCA (the Foreign Account Tax Compliance Act). In the past, foreign financial institutions (FFI) were not required to disclose financial accounts held by U.S. taxpayers to the IRS. As of 2014, with the implementation of FATCA, FFIs are increasingly required to report U.S. account holders to the IRS, which inevitably will lead to additional audits of U.S. taxpayers by the IRS with the potential for severe civil penalties and possible criminal charges. What Action Should Taxpayers Take? The IRS has created a program, the Offshore Voluntary Disclosure Program (OVDP), allowing taxpayers who have failed to file an FBAR to do so, generally avoiding criminal prosecution and reducing civil penalties while coming into compliance with federal law. This program allows a taxpayer to amend up to eight previous years’ federal income tax returns; pay any interest and penalties that result from these amendments; file up to eight years’ worth of FBARs; and pay a penalty of 27.5% of the highest aggregate balance of previously unreported foreign accounts. While this penalty may seem steep, truthful and timely participation in the OVDP significantly reduces the risk of criminal prosecution. Furthermore, if a taxpayer is audited outside of the OVDP, penalties may be significantly higher than the OVDP penalty of 27.5%. A Streamlined Compliance Procedures program was implemented in 2014 as an an alternative to the OVDP for taxpayers whose non-compliance with FBAR requirements was non-willful. This program is available to taxpayers who failed to report gross income from a foreign asset and pay U.S. tax on that income, and who may have failed to file an FBAR. The taxpayer must have filed a U.S tax return for each of the three most recent years for which the filing due date has passed. Taxpayers who are eligible for this streamlined compliance procedures program must pay only 5% of the aggregate end-of-year foreign account balances. It makes a significant difference whether a taxpayer’s conduct is determined to be willful or non-willful. The consequences for failing to file an FBAR can be steep, including a civil penalty for non-willful failure to file of up to $10,000 per year. The civil penalty for a willful failure to file, by contrast, is the greater of either $100,000 or 50 percent of the account balance; criminal penalties, including prison time, may apply as well. Depending on the nature of the violation, the financial cost to the non-compliant taxpayer when taxes, fines and penalties are added up can easily exceed the value of the unreported account. Many taxpayers who do not comply with reporting requirements are unaware that those requirements even exist, and assume to their peril that their non-compliance was non-willful. However, the IRS may see things differently. Taxpayers who certify to the government that their failure to file was non-willful could face even more legal trouble if the IRS uncovers evidence to the contrary. Willfulness may be inferred from information such as deposit and withdrawal records, amounts and timing of transactions, and whether the taxpayer’s financial advisors or tax preparers were aware of the foreign account. Taxpayers who certify that their conduct was non-willful must acknowledge their recognition of the fact that if the IRS discovers evidence of willfulness, fraud, or criminal conduct, it may open an investigation that could lead to increased financial penalties and even to referral for criminal investigation. Beyond the considerable financial cost of failing to file an FBAR and the threat of criminal prosecution, there is another risk for visa holders and lawful permanent residents (green card holders): revocation or non-renewal of their visas or green cards. This seems particularly unfair in light of the fact that neither United States Citizenship and Immigration Services (USCIS) nor the IRS has a protocol for making resident aliens or immigrants aware of this financial reporting requirement. Still worse, many tax preparers and financial professionals are unaware of the requirement. Taxpayers may resolve this problem by promptly entering the OVDP or filing a streamlined petition to disclose foreign accounts and assets, bringing them into compliance with all U.S. tax filing and reporting obligations. The tax attorneys of Ortiz & Gosalia, PLLC, have post-JD degrees in tax law and offer a range of counsel and representation with regard to U.S. tax law. Our attorneys understand how tax law and immigration law intersect, and the impact of that intersection on our clients. With offices in Redmond, Bellevue and Kirkland, we work with domestic and international clients and offer services throughout the Seattle area and Washington State.If you are concerned about whether you are required to file FBARs or other financial reporting documents, we invite you to contact us without delay.